There is a centuries-old seawall in the ancient port of Akka, located on Israel’s northern coast. Today, Akka is a modern city inhabited by Muslims, Christians, Jews, and Baha’i, but its history goes all the way back to rule of the Egyptian Pharaohs. Young people dare to stand atop the 40′ one-meter thick block structure and risk their fate by jumping into the roiling sea. This perilous tradition has continued for many generations, and has become a rite of passage for the children of Akka. 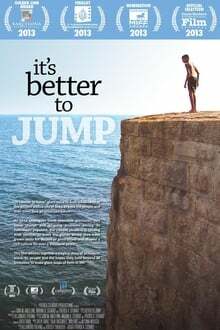 “It’s Better to Jump” is about the ancient walled city of Akka as it undergoes harsh economic pressures and vast social change. The film focuses on the aspirations and concerns of the Palestinian inhabitants who call the Old City home.